It’s only natural for Pomeranian puppies to play, chew and investigate everything they can find. One effective way to learn about things is to try and mouth or bite with their extremely sharp teeth. It’s very common, when they’re playing with you and other family members, that they will chew, moth and bite your hands, arms, legs and even items of clothing. Teaching your Pom to stop mouthing. There are various ways you can train your pet Pom to stop this bad habit. Your end goal is to prevent him from biting or mouthing completely. However, that has to be done in stages. Your first step is to demonstrate that he must be gentle when he uses his mouth because human skin is highly sensitive. The negative bite inhibition habit: Train your Pom to use his mouth gently. “Bite inhibition” is a simple term for the amount of control a puppy has over his mouth’s strength. If a puppy doesn’t understand this inhibition, he won’t understand how sensitive your skin really is so he’ll tend to bite hard, even if he’s playing. Many trainers and behaviorists believe a dog (after learning how to control the strength of his bit when playing with people) is unlikely to bite anybody hard, even causing the skin to break, if he’s in pain or is scared, let alone while he plays with people he knows. 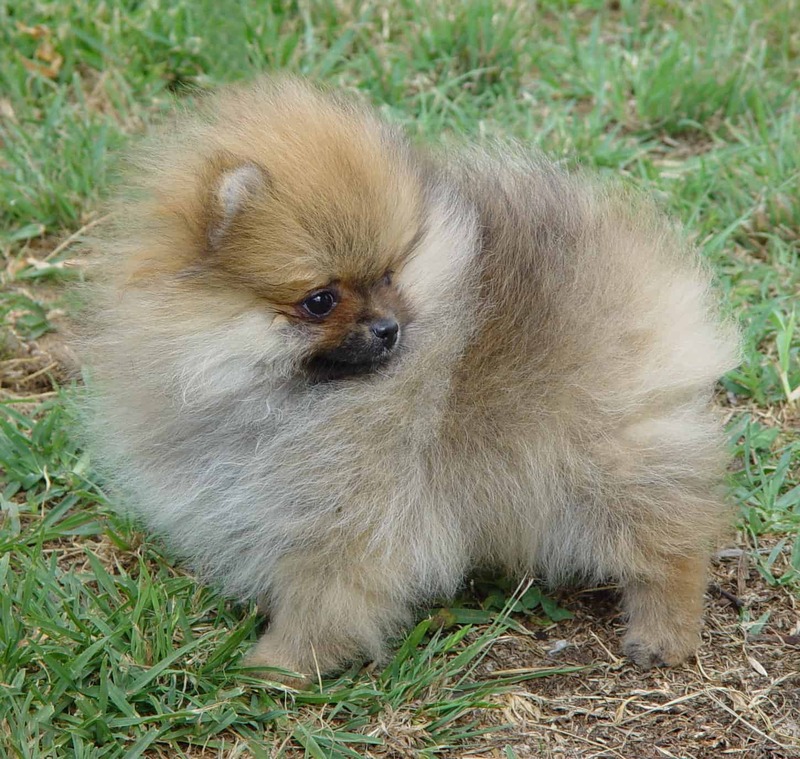 Pomeranian pups generally learn to control the strength of their bit when they’re playing with other canines. It’s fun to watch groups of puppies when they play. They’ll run around, wrestle, pounce and chase each other, and this also includes mouthing and biting. Occasionally one Pom will bite another one a bit too hard. Then the “victim” will yelp and stop what he’s doing, as will the biting puppy. The good news is that this never lasts long and they dive back into the game again. This type of mixed interactions help teach pups that they must control the force of their bites so none of them get hurt and they can get back into playing quickly. Because they learn from their playmates rather quickly, they’ll also generally learn not too bite humans too hard. 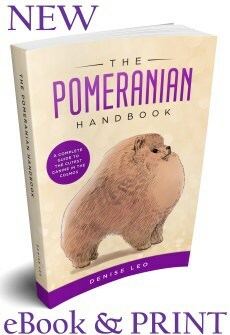 Pomeranian teeth shouldn’t touch human skin. 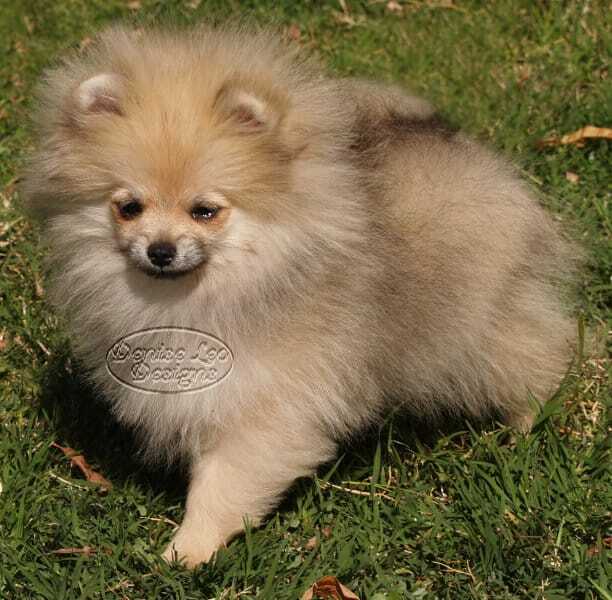 If your Pom puppy is attempting to nibble on your toes or fingers, give him a chew bone or some other toy he can chew on without harm. Puppies will commonly mouth fingers or hands if they’re being patted, stroked or scratched unless they’re distracted or about to go to sleep. If you pet him and he wakes up more, break that feeing by giving him a few little treats using your other hand. Eventually he’ll become used to being petted without mouthing in return. Teach your Pomeranian puppy some non-contact games (for example – tug-of-war), instead of using your hands to wrestle with him. If he can tug safely, keep some tug toys within reach or even in your pocket so if the mouth opens, you fill it with a toy. Perhaps your puppy nips your ankles and feet. If so, stop moving and remove the hidden tug toy from your pocket and tease him until he grabs it. If your pockets are empty, stop moving. The moment he stops, offer praise and find a tug toy as his reward. This process should be repeated as often as necessary until he stops chasing you whenever you move around and is content to watch or do something else. Always have a large, varied selection of toys for him to gnaw on so he doesn’t go and find your shoes or clothing to chew until they’re no longer any use. Every time he tries to nip you, apply time-outs. The second you feel his teeth, make a high-pitched yelp. Then move away from him, ignoring him for 30-60 seconds. If he repeats the nipping, exit that room for 30-60 seconds. (***Important note- ensure the room is already puppy-proofed before locking him in there). Never lock him in a room containing things an energetic puppy could destroy or things that might hurt him. Once you’re finished with the time-out, open the door and go back to whatever you were doing before that happened. It’s important not to create a future problem if you try to touch your Pomeranian’s mouth so you have to think about emotions related to his mouth and face when you need to touch him there. I recommend handling the underlying arousal, teaching him a behavior that’s not compatible (for example – “down”) and keep reinforcing it until it sinks in. 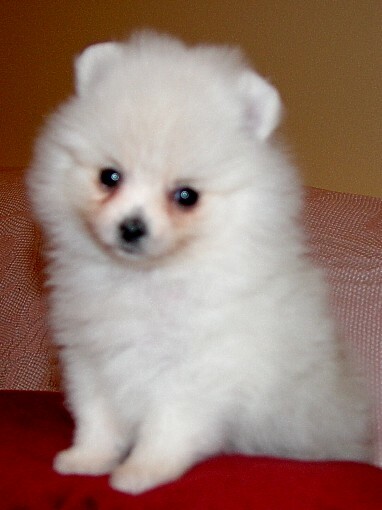 If your Pom persistently bites, stand up and don’t let him get near your hands for a week. Ensure your puppy is resting enough, whether it’s napping during the day in his crate, sleeping at night or napping beside you while you watch TV. Puppies that feel fatigued will mouth and bite and don’t learn as well as puppies that are well-rested. Controlling his impulses won’t be teachable so you’ll just get annoyed and frustrated if you try. One factor often overlooked by dog owners is arousal. A puppy is aroused by contact so if he’s nipping, mouthing or biting, you may be getting him aroused without realizing it. If he’s biting, stand up so you’re not further adding to the issue. If he’s in your lap and starts up, put him on the floor and stand up. 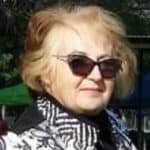 If your Pomeranian is biting frequently then you must analyze your behavior and that of the rest of the family as it means humans are causing the problem and so changes need to be made in your behavior. If you persist in allowing him to bite/mouth you through your behavior, it also may mean that he’s not ready for the lessons so avoid triggering him until he’s more mature and can be taught. My Pomeranian puppies NEVER bite me. However, I have my own personal rules that I put into place until my puppies are neurologically and emotionally mature and won’t get too aroused and bite/mouth. The timeline for each puppy can fluctuate from week to week and some puppies have a stronger natural arousal feeling than others. • I don’t overdo the lap cuddling or carrying. • I never lay on the floor with my Pom. • I never use any part of my body as a toy or include them as parts of toys in my puppy’s mouth. • I rotate my large collection of toys that fall into different categories. I have different toys for fetch, for food toys, scent games and lots of other games but never confuse the puppy by allowing my fingers to be included. I do carefully flirt a little occasionally. As Pomeranian puppies begin to mature, I do a lot more fun things but I’m always aware of boundaries and if a certain amount of a particular activity triggers the mouthing/biting bad habit again, I stop it for a week or so and then try again. In my experience, it’s smarter and more effective to prevent bad habits than to react to one when it happens. The good news is that puppies generally always grow out of these habits but there are times when a puppy won’t. If your Pomeranian’s teeth are occasionally breaking skin or, even worse, always breaking skin and using force every time, you’ll need the above steps to train him not to. As a last resort, talk to your vet.